These specialists can help engineers and technicians on shaker system selection, on conducting sine and random vibration tests, on conducting shock tests, on vibration and shock test fixture design, on highly accelerated life testing (HALT), environmental stress screening (ESS) and highly advanced stress screening (HASS). If you are a consultant and would like to join this group please contact Steve Brenner by e-mail or at (805) 456-4274. Lee G. Smith is a Senior Dynamics Engineer specialized in vibration testing, modal testing, shock testing and data analysis. 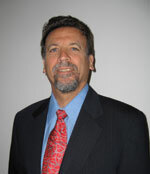 Boris is a registered Professional Engineer in Ontario, Canada and president of Advanced Test & Management Solutions. 40 years test experience: test equipment development, test engineer, test engineering manager, HALT/HASS engineer.